The season for Japanese seasoning! Japan is an enigma to a lot of us! 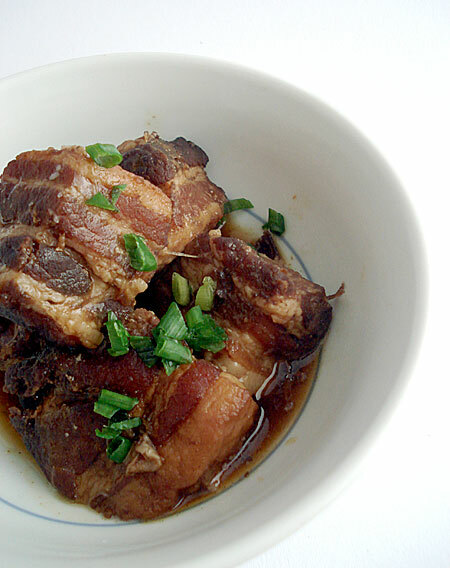 We have heard, read, eaten and experienced various things from and about this island nation. But if you haven’t visited the country (like me!) what DO you make of a people who make some of the best electronics on the planet, have incredible visuals in their Manga art, and have made the consumption of raw fish and sea-weed a fashion and lifestyle statement? 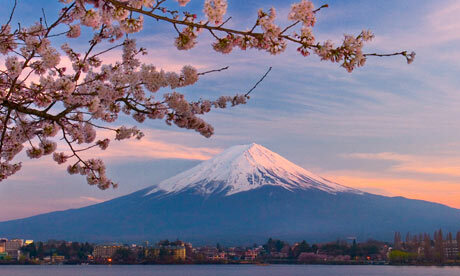 The iconic Mt Fuji with the pristine beauty of the spectacular, but short-lived Sakura – the beautiful Cherry Blossoms! As for my questions, the chances of getting answers were looking a bit dim! Inside the Consulate, a Zen-like calm pervaded the air, people smiled and bowed at each other, and spoke in hushed voices, and the press conference, being conducted by a young Japanese national, was subdued and almost like a prayer ceremony, with just a handful of exclusive invitees from the food and media world in quiet attendance. Ok, so how many questions could one whisper out??? Warm Sake is perfect for the snowy winters of Japan… or even for the slight chills in Mumbai! So, what is the meaning of Kampai? Globe-trotter Harry Cheng of ‘Been There Done That’ answers cheerfully, “It is the Japanese way of saying ‘Cheers or Bottoms Up’”. When I probe a bit, he says it literally means ‘Dry Cup’ and transliterated means ‘A Toast to Your Health’! Not bad for starters, eh? Next came the hotly debated question: Should you have your Sake warm or chilled? “Yeh mushkil sawaal hai” (This is a tough question), replies Mr. Asako… in pure, chaste Hindi!!! Before I can recover from the shock, and marry the image of a dignified, formally dressed Japanese official with the spoken words of an indigenous North Indian, he carries on with his explanation. It all depends on the quality of the Sake, the recommendations of the Sakagura, one’s personal taste, and even, the weather outside! But rule of thumb is that a better quality Sake tastes good when slightly chilled, whereas a slightly warm Sake tastes better in cold weather. That done, we head to the food tables amidst growing chatter and laughter and more Sakes around. Various kinds of veg and non-veg Sushis are beautifully laid out on one side, created by the skilled Chef Shreeya Mitra from Sushis and More. 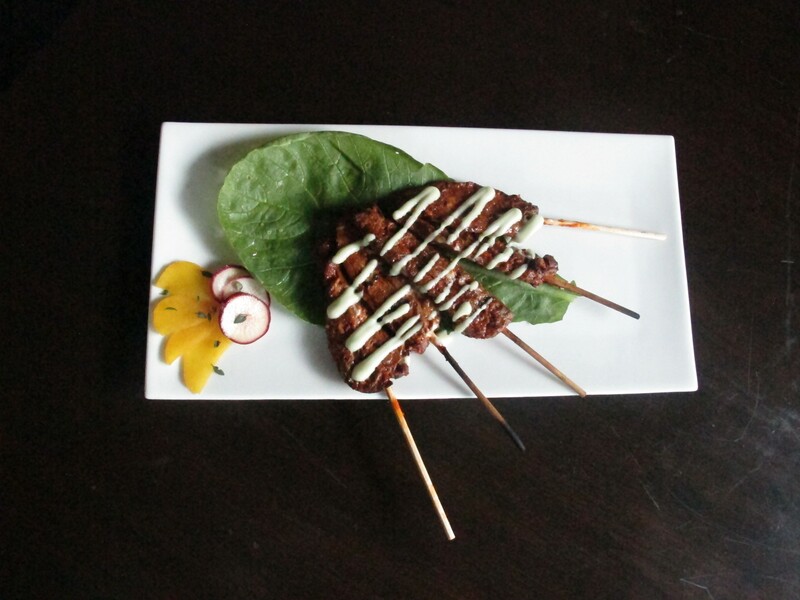 On the other side is a selection of dishes by Chef Biaka of Kofuku, one of the best Japanese restaurants in the country. I spot the smiling face of Kofuku owner Rinchen Anchuk near the kitchen area, and he insists on piling my plate up high with his off-the-menu special, Kare Lamb, specially made for the evening, and delicious to its last juicy bone! I look around and there are other familiar faces enjoying the food with equal gusto! Fashion guru Narendra Kumar tells us of his many visits to Japan, his experience of different kinds of Japanese drinks (and I thought Sake was it!) and how he finds the Japanese women startlingly beautiful. 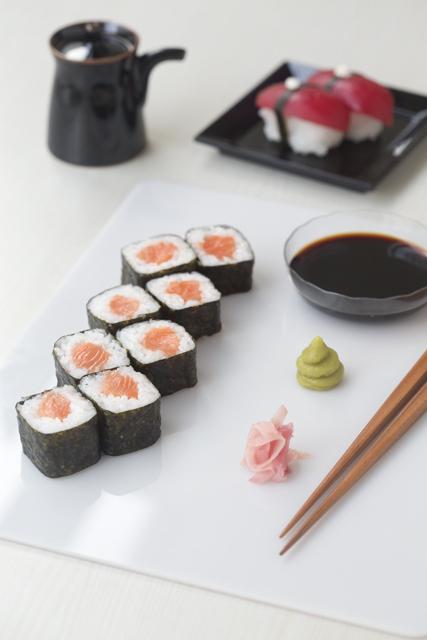 Farzana Contractor, media baroness and editor of Upper Crust, joins in with her personal experiences of Japanese culture and how there is so much more to Japanese food than just Sushi and Sake. More questions. Many more answers. And many more helpings of Sake and Lamb bring the evening to a close. The Japanese may still be an enigma, but here they were chatting, drinking and laughing with and like the rest of us. Just shows they are not very different from us mad Indians after all, with all our idiosyncrasies and ‘head-bobbings’ 🙂 And like us, food is one of the most important aspects of their life too – something that should be respected, celebrated and shared with loved ones. The Oishii Japan Food Festival kick-started by this event is now in full swing at well-known Japanese restaurants in the city. So if you haven’t tried them before, now would be a good time to sample the variety that Japanese cuisine has to offer, like the Yakitoris and Teppenyakis, or the Wasabi and Green Tea Ice-creams, at places like Aoi, Kofuku, San Qi, India Jones, Umame and Sushi and More. And come January, a Japanese Street Festival at High Street Phoenix will see the return of those huge Japanese drums that will pound up some festivities along with great street food, straight from the lanes and by-lanes of Tokyo. ‘Kampai’ to that! The beautifully flavoured broth and the amazingly tender chunks of slow-cooked pork that go into making my favourite dish – the Kakauni!